Pasteurized donor human milk (PDHM), is prescribed by healthcare providers. The hospital is responsible for ordering milk for its inpatients. 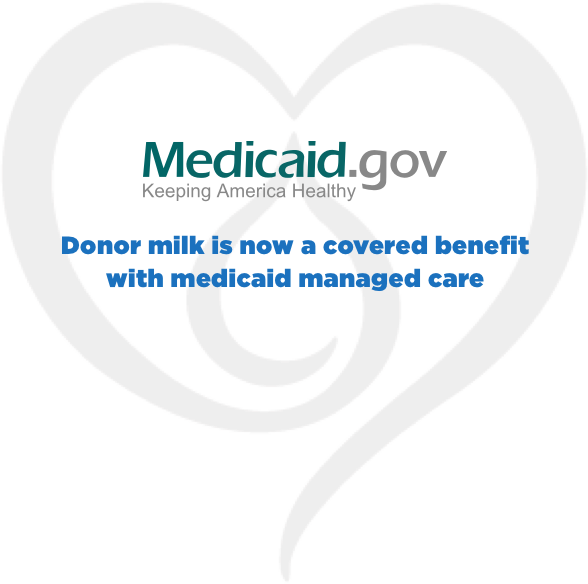 Talk with your healthcare provider about getting a donor milk prescription. Hospitals have different policies about who receives milk as standard of care. Please call us at 212.956.MILK (6455) if your hospital does not receive PDHM or if you need help obtaining PDHM for your baby. Pasteurized donor human milk for a baby at home requires a healthcare provider's prescription. Talk with your child's provider about using donor milk at home. If you and your provider agree that donor milk is necessary, please call us at 212.956.MILK (6455) and we will set up an account for your family. Donor milk for outpatients is dependent upon availability and hospitalized infants are given first priority. If there is a medical need for donor milk, NYMB will seek prior approval for coverage of donor milk through your insurance. 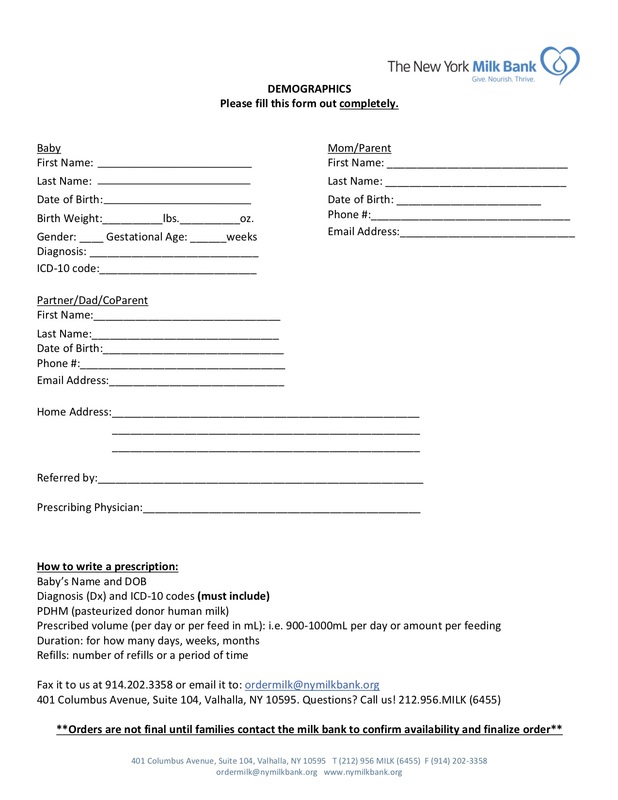 Please fill out this consent form and fax or bring it to the Milk Bank. 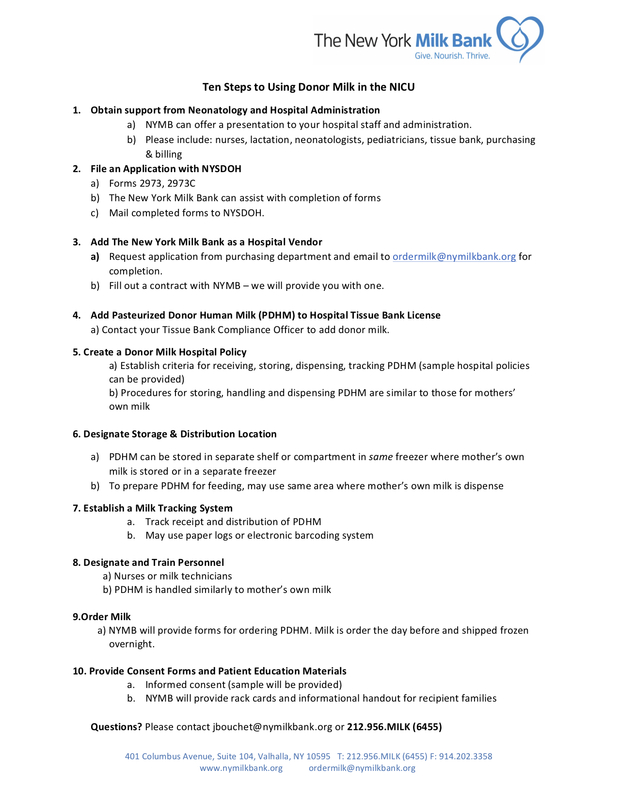 In New York donor milk is considered a tissue (not a food) and hospitals in NY must have a license by the New York State Department of Health. There is no fee for the license and NYMB will help you fill out the forms. The forms needed are: 2973 2973C and 2973I (instructions). You need policies and procedures for dispensing milk and keeping track of recipients. Hospitals can store donor milk in the same freezer that mothers on the unit store their own milk. Clearly label the milk and store it in different bins and/or shelves. 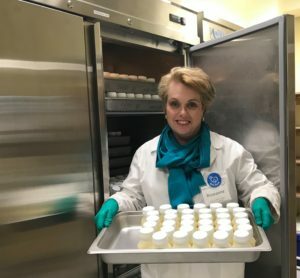 The New York Milk Bank is dedicated to improving the health and survival of infants in need by providing them with safely pasteurized donor human milk when their mothers’ own milk is unavailable or insufficient. © 2018 The New York Milk Bank. All Rights Reserved.